The Watershed Management Planning Guidebook provides detailed guidance on how a community can replicate natural surface water hydrology to improve water quality by determining the stormwater runoff volume of a watershed in various land use scenarios and utilizing Best Management Practices (BMPs) techniques, specifically Low Impact Development (LID), to reduce the total volume of runoff. 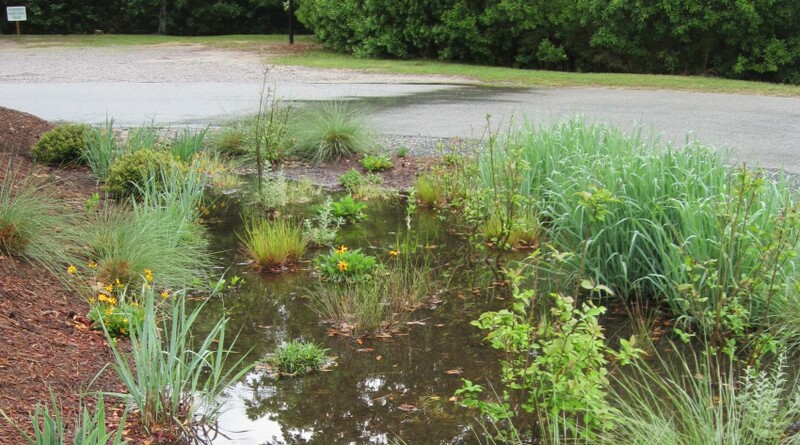 Stormwater runoff serves as a transport for pollutants, such as bacteria, nutrients, chemical and physical pollution. Rather than focusing on reducing sources of contamination or attempting to treat and remove bacteria and other pollutants from stormwater runoff, the management techniques used in this guidebook focus on reducing the overall volume of stormwater runoff in order to limit the conveyance from the land into coastal waters. This guidebook is intended to serve as a framework for local governments and coastal communities to develop coastal watershed management plans that will better position them to qualify for funding. This guidebook utilizes simple geographic information systems (GIS) techniques and the Watershed EZ Tool and Runoff Reduction Scenario Tool to quantify the stormwater volume reduction goal of a watershed. Click the button below to access materials from the March 8, 2017 workshop in Nags Head titled “Watershed Planning: Strategies and Tools to Protect and Restore Coastal Water Quality.” The slideshows, excel tools and writing template will download as a zip file. Lauren Kolodij, deputy director for the federation, led a watershed planning training in Wrightsville Beach on April 27 and April 28, 2016. By clicking the button below, you will be redirected to the Governors’ South Atlantic Alliance website where the curriculum and materials are available.